Today, Thursday December 4, is the day many have been waiting for in NASA and other space agencies – it is the day the Orion will blast off into space on an Experimental Flight Test 1 that is measured to take humans farther into space than any other spacecraft has ever done. This is the window when the Orion will shove off into deep space and then re-enter the Earth’s atmosphere at an alarming speed and velocity that only specialized equipment can measure – and to this end, special planes and helicopters and other robotic spacecrafts have been deployed to measure the speed and positioning of the Orion as it re-enters Earth through its thermal signatures. Hundreds of specialists that worked on the Orion are presently gathered at the Kennedy Space Center, awaiting the launching of their mechanical efforts. This is the moment they have been working and waiting for, and its consummation is the take-off of Orion into deep space to the accompaniment of roaring rockets, billowing smoke, and flames. In fact, several people have been coming into Cape Canaveral and booking hotels in recent days in anticipation of the rocket launch. 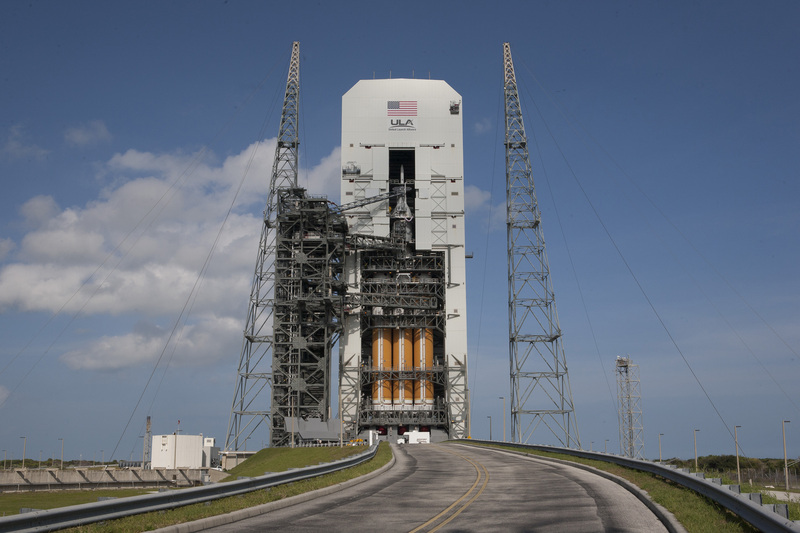 Set to hurtle into deep space aboard the Delta IV Heavy Rocket made by Centennial-based ULA, the Orion was designed and constructed by Lockheed Martin Space Systems in Littleton, and its antennae and cameras were built by Ball Aerospace in Broomfield. The Orion’s avionics systems were made by Deep Space Systems, and other parts and functions made by other reputable space companies. The presidents and executives of some of these companies are on hand to witness the performance of the Orion today. “If we can do it in a very metered, methodical way, we can get there safely, faster and at less cost. This team, with this flight especially, is able to demonstrate as being a really good way to take a very modest amount of money and be able to move the world forward,” said Larry Price, Lockheed’s deputy director of the Orion mission. Orion is expected to make a 4 hour 24 minutes trip that will pass Earth at an altitude of 552 miles and also at another of 3,609 miles. The Orion will pass through the Van Allen Radiation Belts which will be a crucial test on the spacecraft’s systems, before returning to zoom down to Earth 600 miles off the coast of Baja California – from where it will be retrieved and returned before Christmas to the Kennedy Space Center by a specialized team of security technicians.